Features Jack Brabham accelerating the Cooper-Climax T51 away from Mirabeau down to Station Hairpin followed by Tony Brooks in the Ferrari, who finished second, and Maurice Trintignant in Rob Walker’s Cooper. 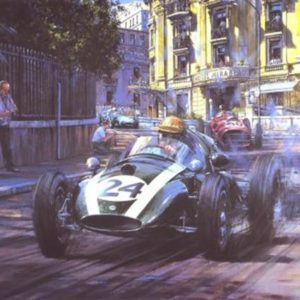 It was after the elimination of Stirling Moss that Jack Brabham took the lead to score a historic victory, his first in a world championship race. 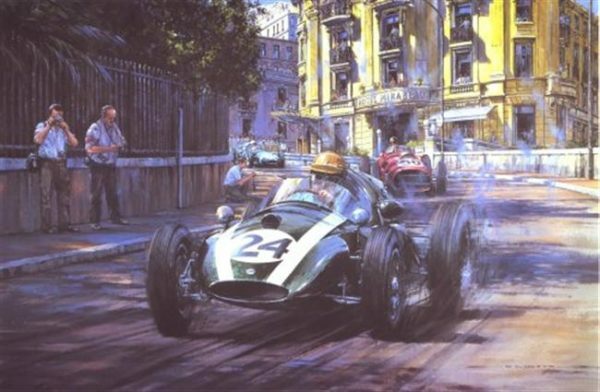 Cooper cars and Brabham both went on to win respective Championships in 1959. 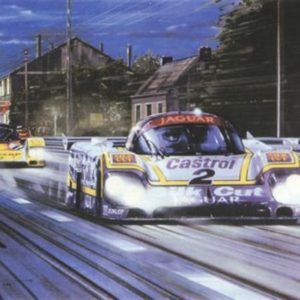 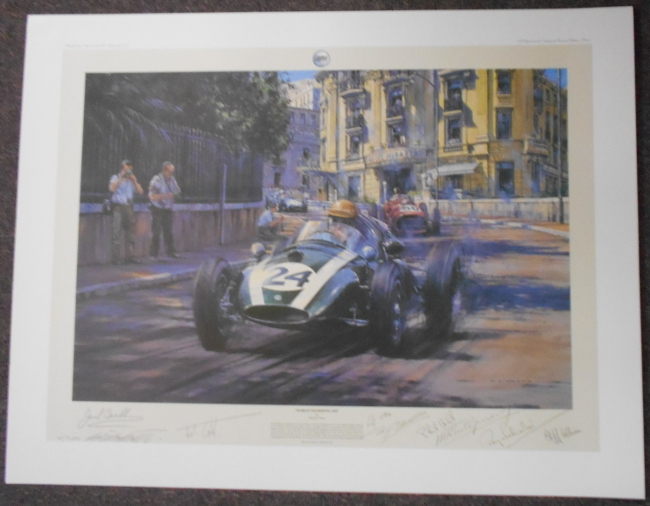 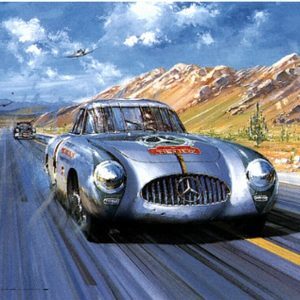 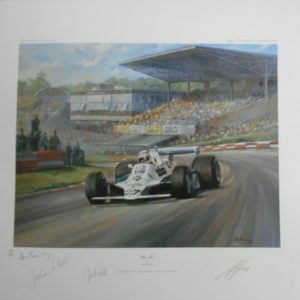 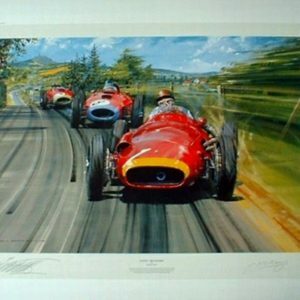 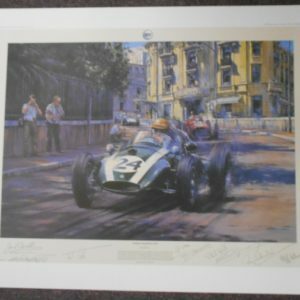 This stunning artwork edition is hand autographed by seven drivers who participated in the 1959 Grand Prix and the winning constructor John Cooper. 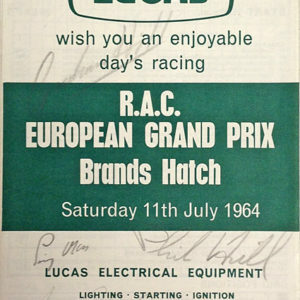 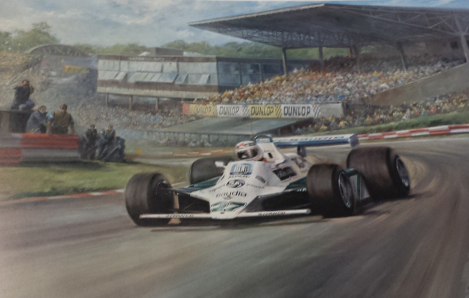 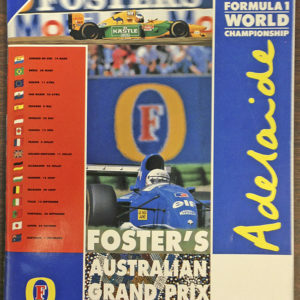 Edition of 500. 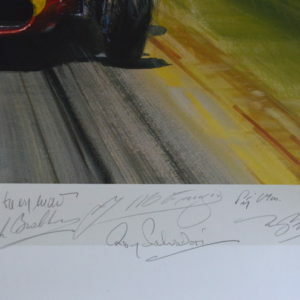 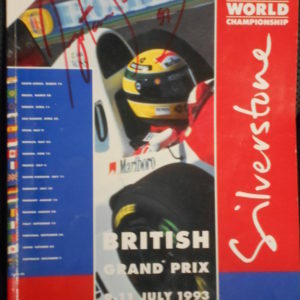 Hand autographed by: Jack Brabham, Stirling Moss, Phil Hill, Tony Brooks, Roy Salvadori, Maurice Trintignant, Cliff Allison, and John Cooper. 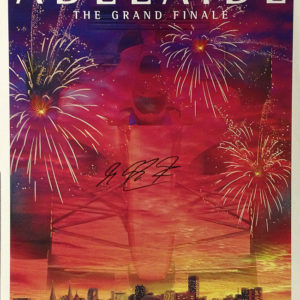 Highly collectible and hard to find.